Prepare to set sail with these nautical tub toys from Elegant Baby. 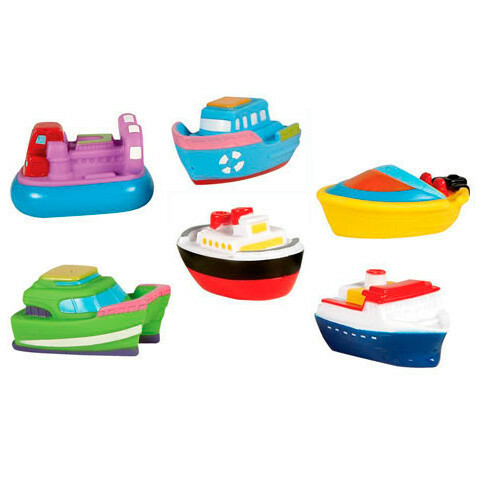 Brightly colored boats and subs are a great teaching opportunity, not to mention making bath time fun. Captain's orders are to hoist anchor and take these bath squirt toys out for a cruise. Elegant Baby understands parents desire to have styles as fresh as their baby, and so we have developed a line of the most trendy, fashion-forward baby products for the conscientious parent. Using styles and colors inspired by runway fashion and interior design, our products feature classic designs with a contemporary twist. 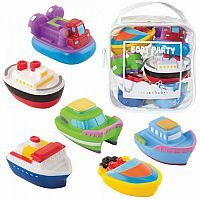 From jumpsuits and onesies to blankets and bath toys, Elegant Baby has the most unique gifts and baby products available today.